Suitable for 2-4 year old children and for home schooling. 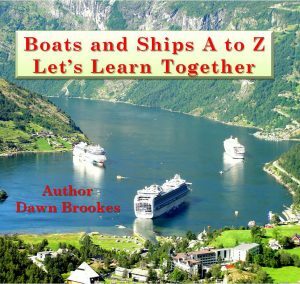 This is a captivating picture book of boats and ships for young children. It includes twenty-six great photos shown in alphabetical order to help children remember the alphabet. Some of the photos are presented in different ways using artistic filters, others as straight photos. There is a short index at the back of the book providing a little bit of information about each boat or ship type. Finally there is a page at the back to encourage a child to draw a picture of their own favourite boat or ship. 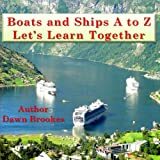 A great introduction to the subject as a learning tool or for any young child who just likes boats and ships.